The army of Egypt has removed Mohamed Morsi from the post of president of Egypt. Huge protests had been held in Cairo, the capital of Egypt, because people were unhappy with the way Morsi had been running the country. Egypt’s army told Morsi to address the people’s issues or step down. The issues were not resolved but Morsi refused to step down, and soon the army forced him out. Morsi was elected as Egypt’s president just a year ago after the country had been without a president for about a year and a half. Many protests were held during Morsi’s presidency with people expressing their disapproval of decisions made by his government. In fact, Egypt has seen numerous protests since 2011. In January 2011, people demanded the resignation of Egypt’s president at the time, Hosni Mubarak, who had been the president for nearly 30 years. Egyptians had been dissatisfied with Mubarak’s government. There weren’t enough jobs for people. Food and housing prices were very high. The people felt the government was not looking out for the citizens of the country. These protests had spread in Egypt and had forced Mubarak to resign a few weeks later. The army took over and started temporarily leading Egypt. Over a year went by, and there still was no new government. Again, Egyptians demanded for the military leaders to speed things up. Finally, Morsi was elected president of Egypt. Now, once again, Egypt is being led by a temporary government set up by the army until elections are held. Many Egyptians have jobs around tourism. 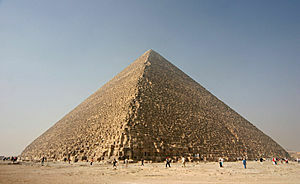 People from all over the world visit Egypt to see famous sites such as the Pyramids of Giza (see image), the Sphinx (see image), Valley of the Kings, Hatshepsut Temple, Ibn Tulun Mosque, Luxor Temple, and the Nile River. The protests have scared many tourists away, and this has hurt the economy of the country. 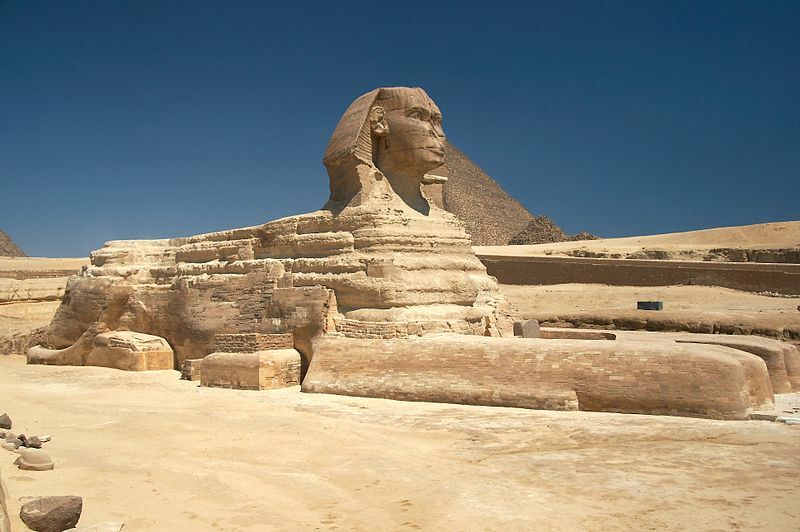 The Ancient Egyptian civilization started over 5,000 years ago. It was a very advanced society and they invented many things that we use today – the 365 day calendar with the leap year every four years, paper (which was made from the Papyrus plant which is how ‘paper’ got its name), ink, clocks, some of the earliest medicines, the lock and key, sails for boats, and even make-up! Ancient Egyptians believed that life exists after death. So when their Kings and Queens died, they preserved their bodies by a process called mummification, where they would take out some of the internal organs, dry the bodies, and wrap them with cloth. They built pyramids which were tombs. Along with the bodies, they kept things that their King and Queens might need in their life after death – gold, food, furniture, clay pots, and more. Over a hundred pyramids have been discovered in Egypt.